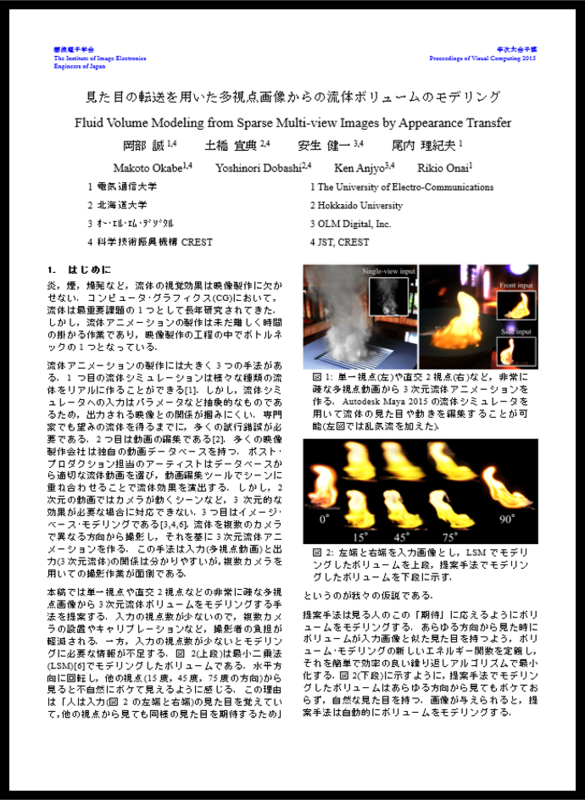 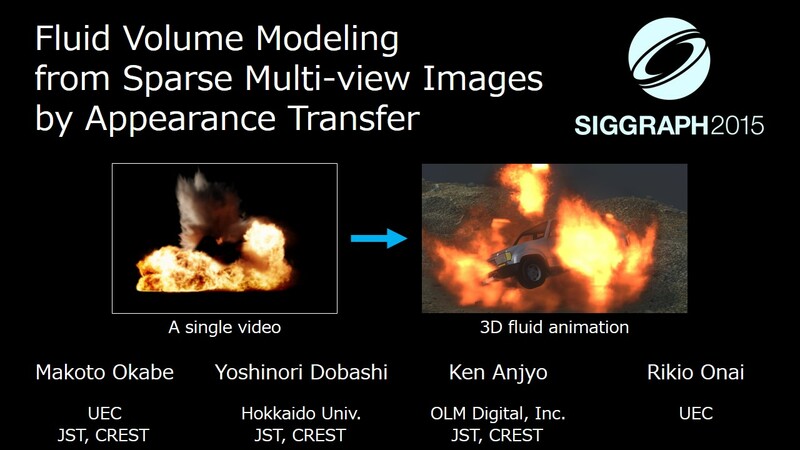 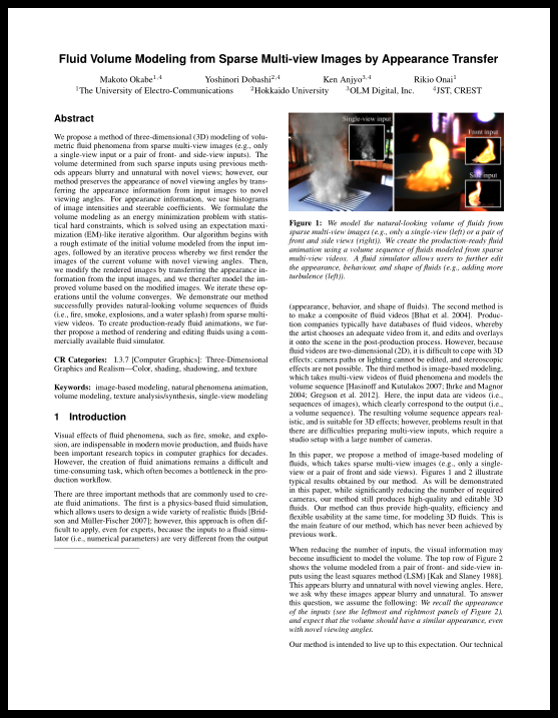 Makoto Okabe, Yoshinori Dobashi, Ken Anjyo, Rikio Onai, "Fluid Volume Modeling from Sparse Multi-view Images by Appearance Transfer", ACM Transactions on Graphics (proceedings of SIGGRAPH 2015), volume 34, number 4, pp. 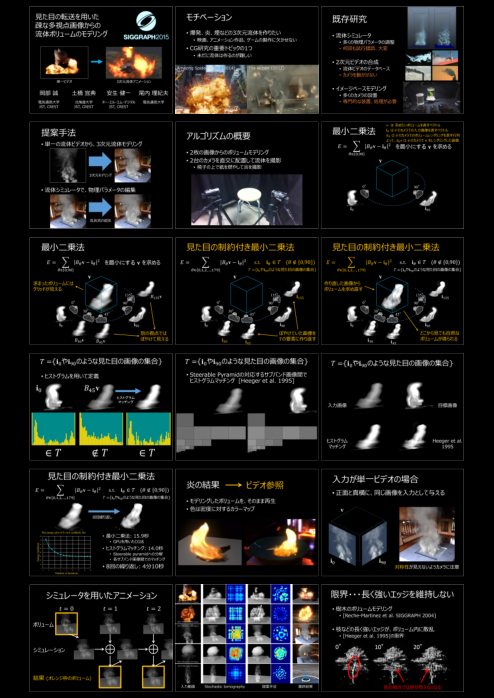 93:1-93:10. 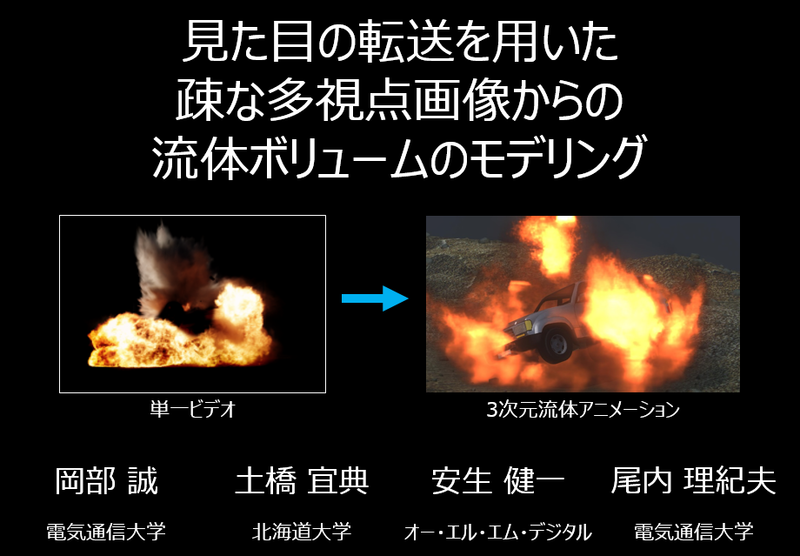 岡部 誠, 土橋 宜典, 安生 健一, 尾内 理紀夫, "見た目の転送を用いた疎な多視点画像からの流体ボリュームのモデリング", VC/GCAD 合同シンポジウム 2015 予稿集.